I get custom order requests often. Some simple basic stuff like recovering some cushions or recreating a favorite handbag. 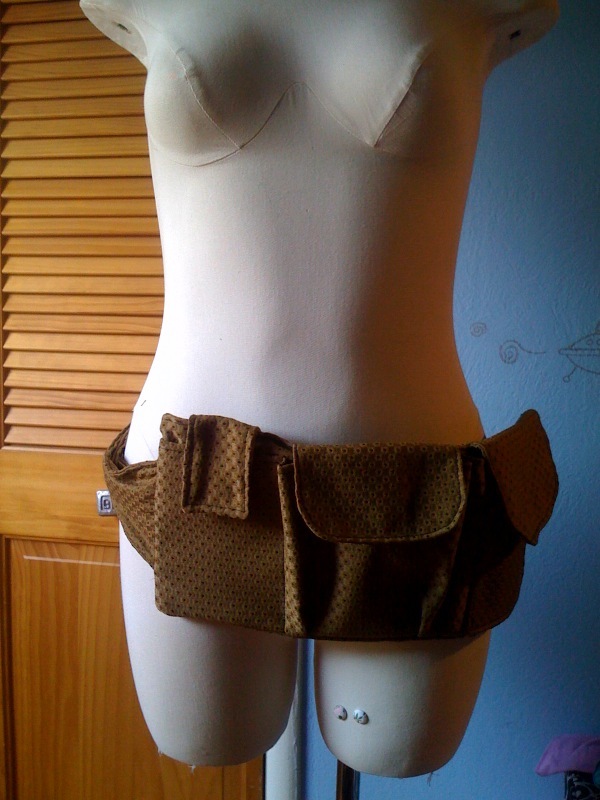 I got a request from the lovely ladies from Coastside Couture to make some Fanny-like packs for them to wear at their Wedding events that they are working. They need to carry everything from scissors, pins, to paperwork, to cellphones, wedding rings and any other item needed for the bride at a wedding. This is a sample finished in some scrap fabric I had around. I will be making 6 of this style for the crew of ladies that do a fan-taboulous job! If your getting married and need someone to run the show! Or your in need of some personal assistance, Contact one of these two lovely ladies!